Mark Alan Thallander is a free-lance organist, composer, and author; President, The Mark Thallander Foundation; and President, Honorary Board, National Children’s Chorus. He resides in Palm Springs, California and Ogunquit, Maine. Mr. Thallander is probably best known for his long and distinguished ministry at The Crystal Cathedral in Garden Grove, California. He joined the staff there in January 1976 as a music associate to Don G. Fontana and assisted Dr. and Mrs. Robert H. Schuller with Hour of Power television scripting, service programming and musical guests. Mr. Thallander was Coordinator of Church Music Exploration, a national conference of the Robert Schuller Institute for Successful Church Leadership. During his 18-year tenure at the church, Mr. Thallander assisted with playing responsibilities for the many worship services, weddings, memorial services, seasonal concerts, and recording projects, as well as for Glory of Christmas and Glory of Easter pageants, and presented 1,000 noon organ recitals for guests touring the Cathedral campus. As Assistant Director of Music and Organist, he conducted The Cathedral Choir and The Summer Choir on many occasions when Frederick Swann was away on concert tours. He coordinated the 1,000 voices for the gala dedication of the Hazel Wright Organ (then the largest church pipe organ in the world), and participated in the 10th anniversary celebration, performing several organ duets with Mr. Swann and playing the gallery organ for The Cathedral Choir’s presentation of Vierne’s Solemn Mass. For the 20th anniversary of the organ, he performed his own signature piece, Toccata on “Hymn to Joy” and Widor’s Toccata from the Fifth Symphony. To mark the occassion of the 50th anniversary of the congregation, Mr. Swann and Mr. Thallander edited the Crystal Cathedral Golden Collection, available at www.matkthallanderorgan.com. In 1993, Mr. Thallander accepted the position of Associate Minister of Worship at Menlo Park (California) Presbyterian Church, where he designed and played for five weekend services of worship. In 1995, Mr. Thallander was called to serve as Director of Music and Organist at Lake Avenue Congregational Church, Pasadena, California. For 18 months, he also served as the interim Associate Pastor of Worship at Lake Avenue Church, guiding many of the centennial events of the 100-days of celebration, including the Centennial Festival of Thanksgiving which featured combined choirs, organ, brass, and handbells numbering nearly 1,000 musicians. Under Mr. Thallander’s leadership, the Creative Arts Academy, Friends of the Arts, Organ Concert Series, Tuesday-at-Noon Organ Interludes, and Pasadena’s annual Sing-along Messiah were established. From 1998-2002, Mr. Thallander was Assistant Professor of Music at Vanguard University of Southern California, Costa Mesa. He served as accompanist for the 100-voice University Concert Choir, performing regularly in many Southland churches, and also at East Coast venues including the Cathedral of Saint John the Divine, Saint Patrick’s Cathedral, and Times Square Church in New York City, as well as Carnegie Hall and the Annapolis Naval Academy. During this time, he was Organist (and for several months interim Minister of Music) at Glendale Presbyterian Church, and returned to The Crystal Cathedral to assist with organ duties for the seasonal pageants. Mr. Thallander has contributed articles to Creator magazine, Theology News and Notes and other periodicals. He has served as a clinician and organist for national music and worship conferences, including American Guild of Organists, Royal Canadian College of Organists, Fred Bock Institute of Music, Calvin Symposium on Worship, and national church conventions, including the General Assembly of the Presbyterian Church (USA), the General Council of the Assemblies of God, and the General Synod of the Reformed Church in America. 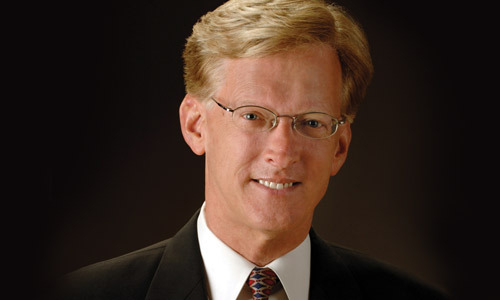 He has held offices with American Guild of Organists, including Dean of the Orange County Chapter for three years, Program Chair of the Pasadena Chapter, a member of the performances committee for the 2004 National Convention held in Los Angeles, a member of the executive committee of the Los Angeles Chapter; and the chapel organ committees at Fuller Theological Seminary and Vanguard University. He is a member of various professional organizations including American Guild of Organists and Organ Historical Society. Mr. Thallander’s solo performances and duet programs have taken him to some of the largest pipe organs in the world, including First Congregational Church, Los Angeles; The Crystal Cathedral, Garden Grove; Cathedral of Our Lady of the Angels, Los Angeles; Lake Avenue Congregational Church, Pasadena; Bel Air Presbyterian Church, Los Angeles (where he performed for President and Mrs. Ronald Reagan); St. Andrew’s Presbyterian Church, Newport Beach; Central Union Church, Honolulu; Coral Ridge Presbyterian Church, Fort Lauderdale; Cathedral Church of Saint Luke, Portland, Maine; and Saint Patrick’s Cathedral, New York City. Additionally, he has been a featured artist in many other churches across the United States and also in Canada. Following a horrific automobile accident in August of 2003, Mr. Thallander has accepted speaking engagements in churches, schools, colleges, universities, and has been interviewed on radio and television programs, and also for newspapers, books and national periodicals. More of Mr. Thallander’s story may be read at www.markthallander.com. A book about his accident and recovery, Champions, written by the Reverend Gary DeVaul, has been a great source of inspiration to thousands of people. An expanded version of the book, Champions…Plus, was released in October 2007, and is currently in its third printing. The book is available at www.amazon.com. Mr. Thallander was honored to have been selected as the recipient of the 2004 Life’s Not Fair But God Is Good Award which is presented annually at The Crystal Cathedral. Mr. Thallander attended Central Bible College and Evangel University, Springfield, Missouri, and played for the weekly Revivaltime broadcast on the ABC radio network. He also attended Simpson University (now in Redding, California), and holds a Bachelor of Arts degree in humanities from Vanguard University, where he has held offices as both President and Treasurer of the Alumni Association. At Vanguard University, a fully endowed organ scholarship has been established in Mr. Thallander’s honor. His Master of Arts degree in music was earned at California State University, Long Beach; and he has taken additional graduate study at the University of Southern California. Mr. Thallander has received invitations over the past decade to return as a guest organist for chapel services and alumni homecoming activities at his alma maters, Central Bible College, Evangel University and Vanguard University. He was selected as organist for the first Revivaltime reenactment radio and television broadcasts held in Washington, D.C. in 2003, and then again in 2005 he was chosen to perform at the Pepsi Center in Denver, Colorado, with the Revivaltime alumni choir. From 2009-2011 Professor Thallander was Faculty/Artist-in-Residence at Evangel University in Springfield, Missouri, and also has served as Adjunct Professor at Glendale College in Glendale, California. He is listed in the 2006 60th Anniversary Diamond Edition of Who’s Who in America, the 2007 Who’s Who in American Education and the 2013 edition of Executive Who’s Who. Additionally, he is included in Outstanding Young Men in America.